Guaranteed to generate goodwill each and every day because it’s the perfect desk accessory. 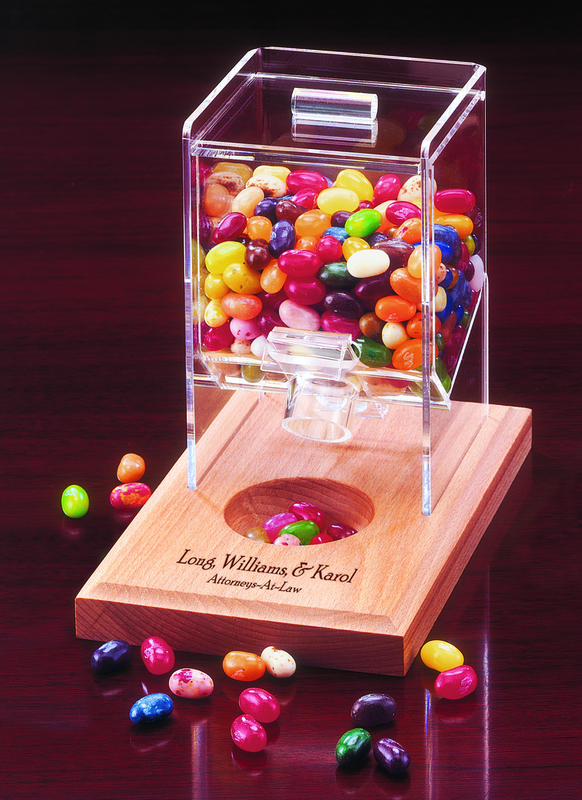 This unique, hand-crafted, acrylic dispenser gift rests upon an American Beech hardwood base. It’s firebranded with your logo and packed with a full half-pound of the world’s favorite beans, the JELLY BELLY®. Perfectly at home on any desk. Imprint Area: 2-3/4" x 3/4"